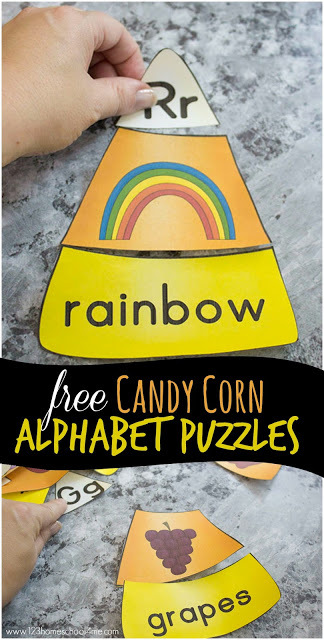 Preschool and Kindergarten children will have fun practicing letter sounds by matching their alphabet letters with pictures, and alphabet words with these FREE Candy Corn Phonics Puzzles. 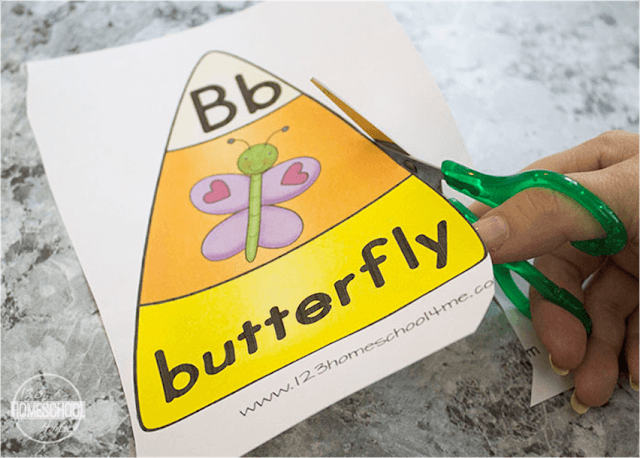 This is a fun, hands on way for Preschool & Kindergarten, and 1st grade children to practice their alphabet letter and sounds. Print puzzles in color. I suggest printing on cardstock and/or laminating for durability. Cut out the puzzle and then cut apart each colored section. Next have kids pick out a picture and sound out the word. Find the correct word to add to your candy corn puzzle. 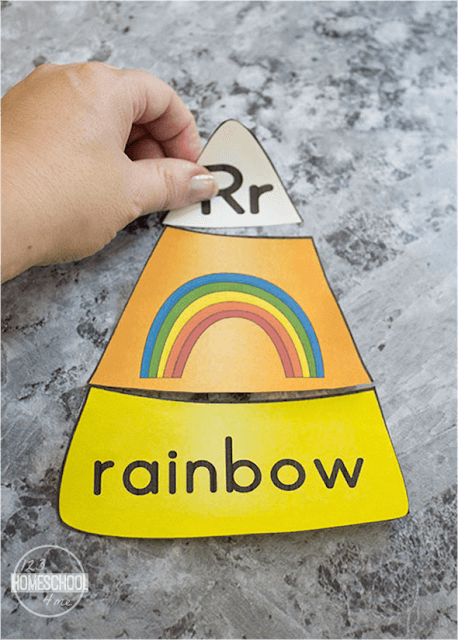 Finally sound out, find, and add the beginning sound of the word to the top to complete your candy corn puzzle. 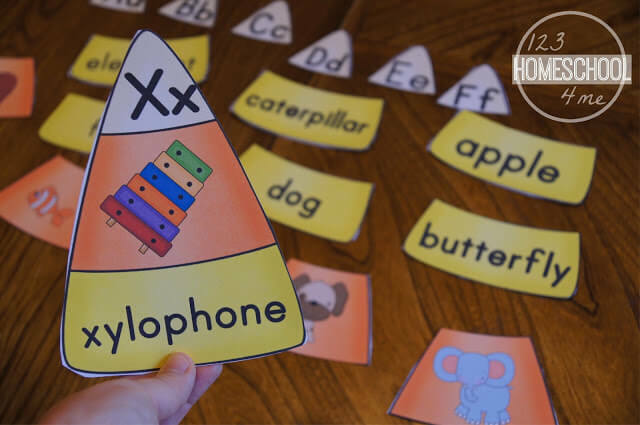 Note: If you have a toddler or preschooler who is not ready to identify words yet, you can always leave they yellow and orange sections together and have the child simply look for the letter at the beginning of the word. 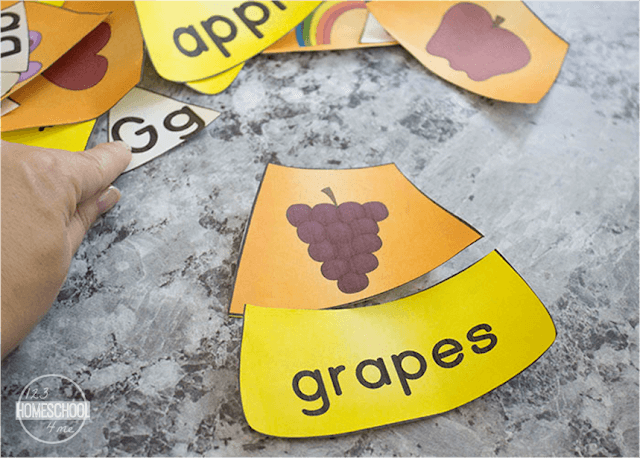 It will still help reinforce what the word looks like as well as the letter sound.